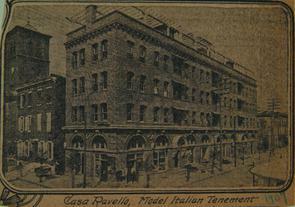 Now a parking lot, a model tenement called Casa Ravello once was located at this site. 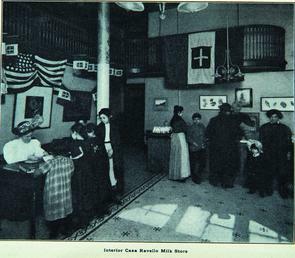 Founded in 1902, Casa Ravello offered reasonably priced housing, penny lunches, pure milk, and educational programming to the Italian community. 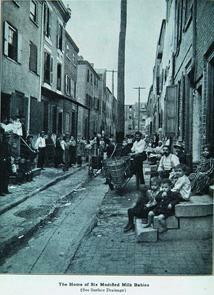 It was a branch of the Starr Centre Association headquartered at 7th and Lombard streets. 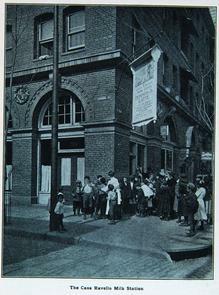 The Starr Centre was established in 1897 as a consortium of community service and philanthropic programs serving the health and welfare of the city's poor. Juliani, Richard N. "Social Reform through Social Service: The Settlement Movement in South Philadelphia." Pennsylvania Legacies, vol. 7, no. 2 (November 2007): 22–29.